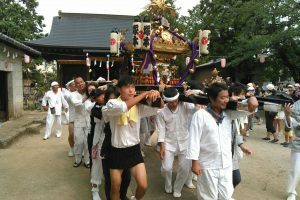 Mishima Shrine example festival is a festival to be held in Taito-ku, Tokyo. 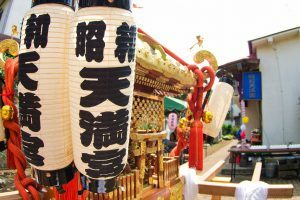 The creation of Mishima Shrine in 1281, as a warrior of the Kamakura period and Masaru Kono of Iyo Shogun wish prime prize to Mishima Omijin, we reached a victory thanks to the virtue. 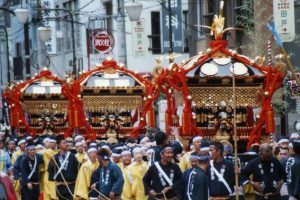 On my way home from the departure, I dreamed of telling me to recommend Mishima Omijin to Musashi County Toshima gun. 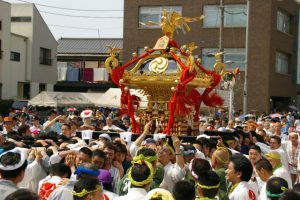 Kono Tadashi keeps the dream ‘s statement and the fact that he dedicated himself to his own house is said to be the beginning of the shrine. 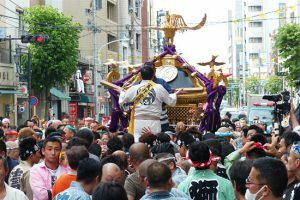 In 1650, Tokugawa Iemitsu’s Tokugawa Iemitsu’s life lives in Kinsugi village in 1650, and in 1710 the company has entered Asakusa Koichi Town as the company’s place falls under the shogunate fortune. 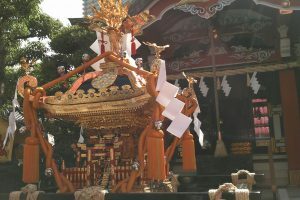 In 1945 he was destroyed by the Tokyo Air Raid and destroyed the shrine. 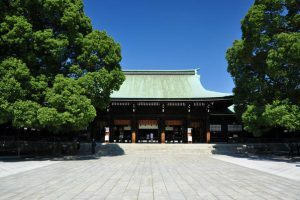 The current shrine was revived in 1954. 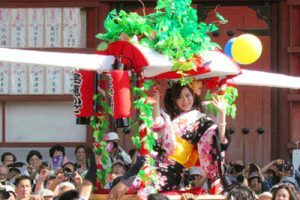 By the way, the Mishima Shrine festival large festival is held for two days, and in the festival a donation (fiction) priestess is held. 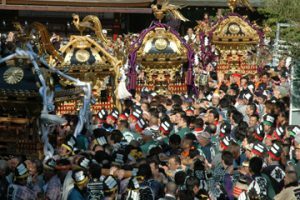 What is a dedication shrine is that the representative of the wife who wore the white clothes inserts money (gifts to God) in the karakonba and walks around the town. 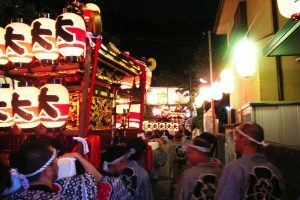 Since it is a ritual that is not seen much, why do not you take a look at the festival? 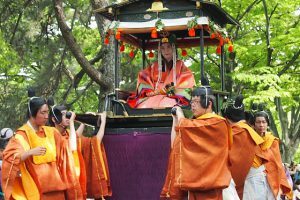 Besides this, coalition passes are scheduled to be held by the shrine maid shrine belonging to Msuko region gathered in one place. 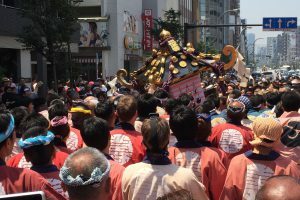 Union leads start from Kanasugi street in front of the shrine. It is very cool how to make one feeling by one tightening before doing a passage at each town chapter. Passing forward while taking the rhythm with a whistle and clapping. 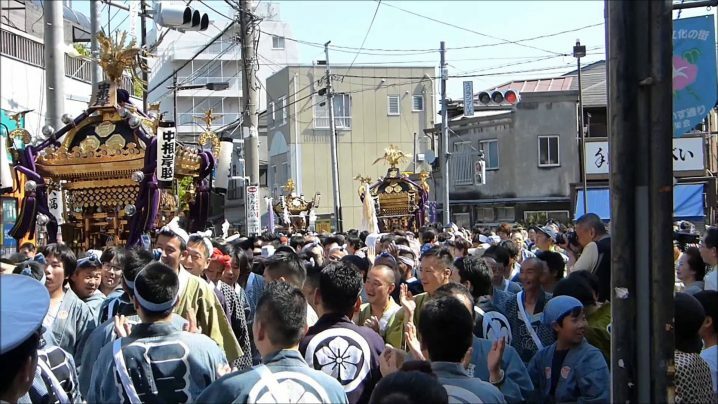 It is somewhat different in each town about the shouts, so it may be interesting to try to distinguish it. 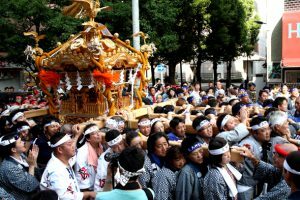 When arriving in front of Mishima Shinto shrine in addition, we will rotate the shrine mikoshi while adjusting the stride and then we will give you a google go higher. 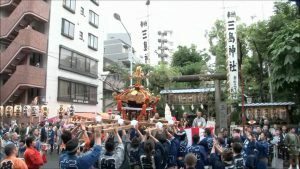 In the shrine mikoshi passing, traffic regulation is laid and it becomes easy to walk, so participation with a small child is also recommended.